Tenor Diego Silva continues to attract significant national and international attention with his captivating performances, and will make his Metropolitan Opera debut as Tybalt in Bartlett Sher’s new production of Roméo et Juliette in the 2016-17 season. Upcoming engagements include the Duke of Mantua in Rigoletto and Alfredo in La traviata with the Luzerner Theater; Rodolfo in La bohème at Opera de Metz; and Nicias in Thaïs with the Melbourne Symphony Orchestra. He will also be featured as a soloist in the Violon sur le Sable concert series in Royan, France. Diego recently performed the title role in Faust at the Macau International Music Festival, a role which he also covered at the Opéra National de Paris. Other performance highlights include La bohème (Rodolfo) under the baton of Lorin Maazel at the Castleton Festival, and with the Yucatan Symphony Orchestra; Maria Stuarda (Leicester) at Edmonton Opera; La traviata (Alfredo) with the Theater Orchester Biel and with Des Moines Metro Opera; Anna Bolena (Percy) at the Tchaikovsky Concert Hall in Moscow; and Die Zauberflöte (Tamino) at the Palacio de Bellas Artes in Mexico City. He has been featured as a soloist in recitals at Alice Tully Hall at Lincoln Center and the Konzerthaus Berlin, and in concert with the New World Symphony Orchestra led by Michael Tilson Thomas, the Palacio de Bellas Artes Orchestra, and at the Plácido Domingo Zarzuela Gala Fuerte de San Diego with the Acapulco Symphony Orchestra. 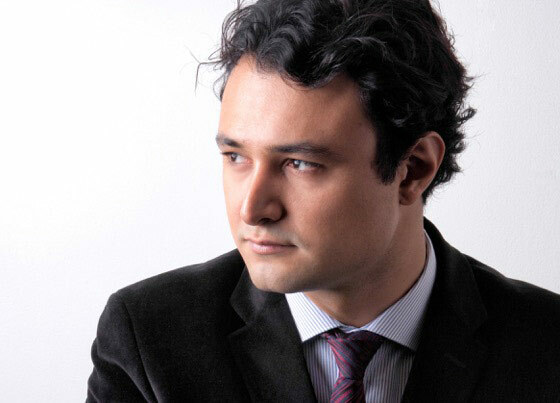 Diego was a finalist in the 2013 Operalia Competition, and a first prize winner of the 2013 Giargiari Competition. He previously was a young artist at the Chautauqua Institution, and studied at the Curtis Institute of Music with further studies at the Academy of Vocal Arts.